While I understand that many visitors to Walt Disney World like to tour “Commando Style” there is something to be said about taking time to stop and smell the roses. 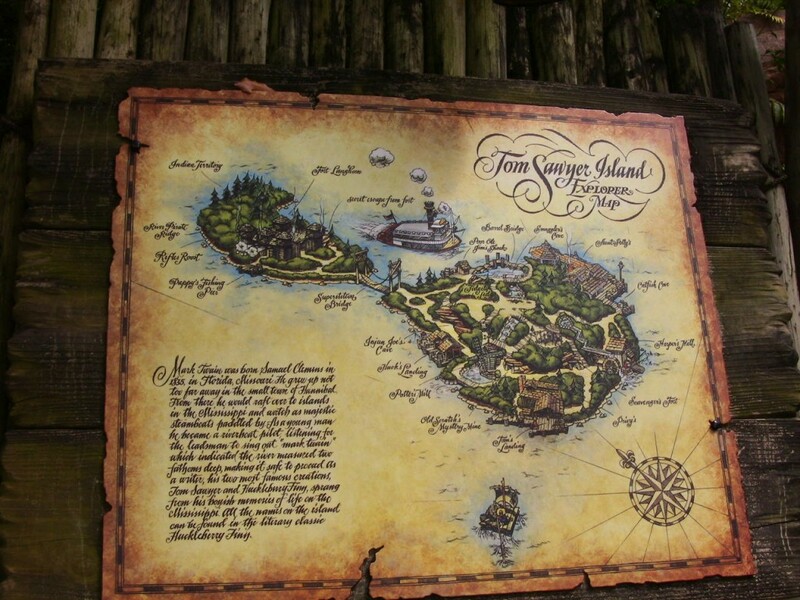 One of the places in the Magic Kingdom that many guests skip is Tom Sawyer Island. It’s not a ride and there are no merchandise shops on the island. 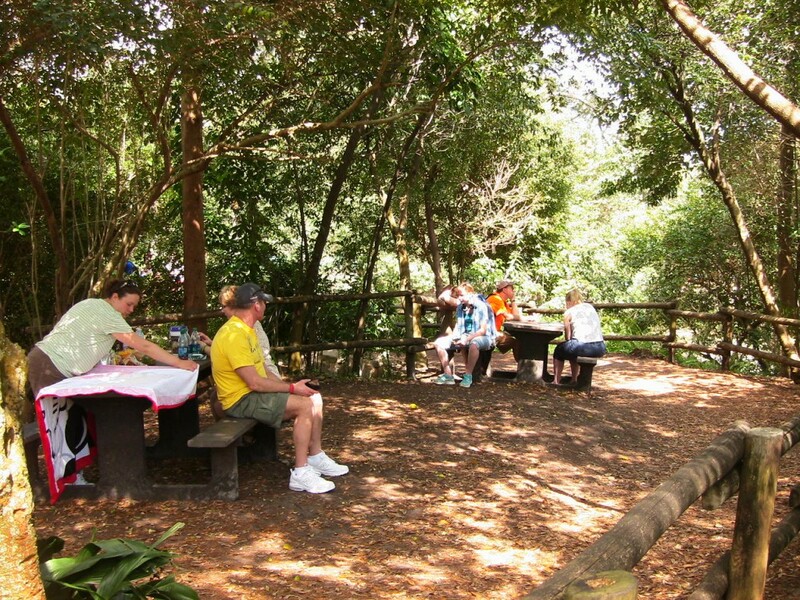 It’s a great place to get away from the noise and crowds, picnic, stroll around, explore, and if you have kids with you, a wonderful place for them to get a chance to run around instead of wait on queue lines. 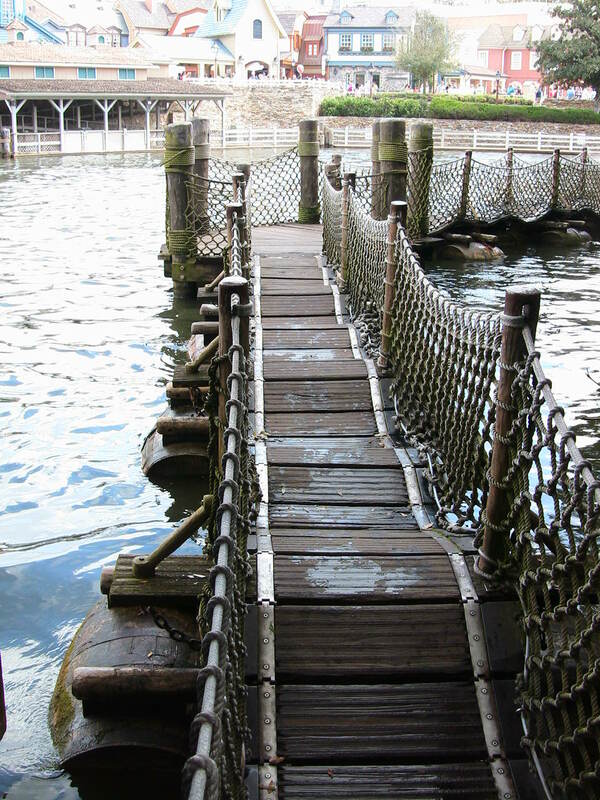 You cannot walk to Tom Sawyer Island. Instead, it’s necessary to take a raft ride to reach it. You can find the entrance to the raft area opposite Splash Mountain in Frontierland. There are multiple rafts that travel back and forth from the “mainland” to the island. The rafts all have names taken from the Tom Sawyer book written by Mark Twain: Huck Finn, Becky Thatcher, and (of course) Tom Sawyer. My friend Elaine and I visited last week on a day that was packed in the Magic Kingdom. We had just missed a raft and I expected a long wait for the next one. 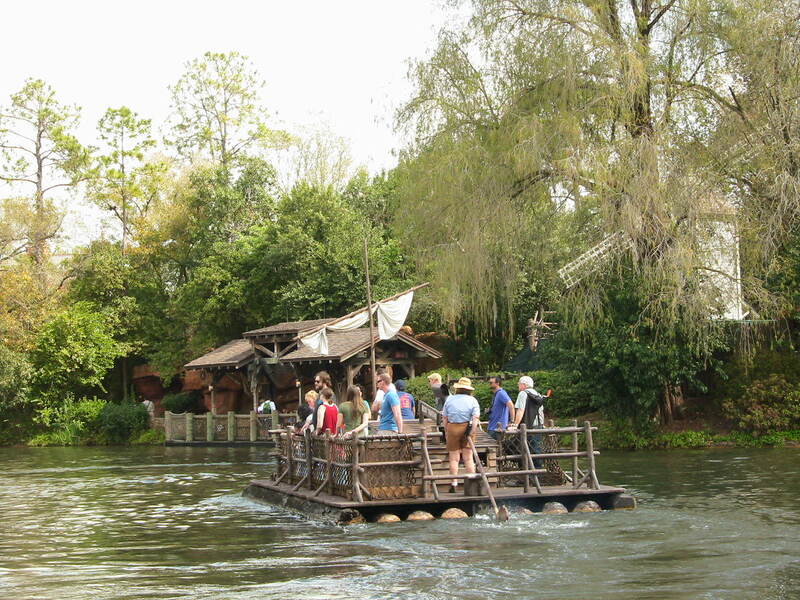 But since the distance from the dock at Frontierland to Tom Sawyer Island is relatively short, and the rafts are motorized and move along quickly, we had barely a five minute wait until another raft arrived. When we arrived we were very pleased to see how few people were on the island. As I previously mentioned, the Magic Kingdom was very crowded the day we visited, so it was really nice to disembark and see only a few people on the island. There was a map posted right where you get off, which gives you a sense of what you can find on the island. Elaine and I decided to wing it and explore on our own. The first thing we found was a cave and in we went. It was really dark, even with lanterns lining the walls it took some time for our eyes to adjust to the interior. This actually made it all the more fun and we had to laugh as we inched our way forward. The cave twisted and turned and we enjoyed going through it. The kid at heart in both of us was happy, and I am sure most children would have a blast in the cave. It was just scary enough to give an aura of danger, but nothing inside the cave was truly frightening. (Children who are very afraid of the dark might not be very happy though). We exited the cave and the next thing we came across was a bouncy barrel bridge. The two of us, grown women, got such a kick out of this and couldn’t help but laugh the entire way across. The bridge rocks back and forth and bounces, it was a ton of fun. Next we happened upon a porch, this was located by Aunt Polly’s an eatery at one time but currently only has vending machines with snacks and drinks. 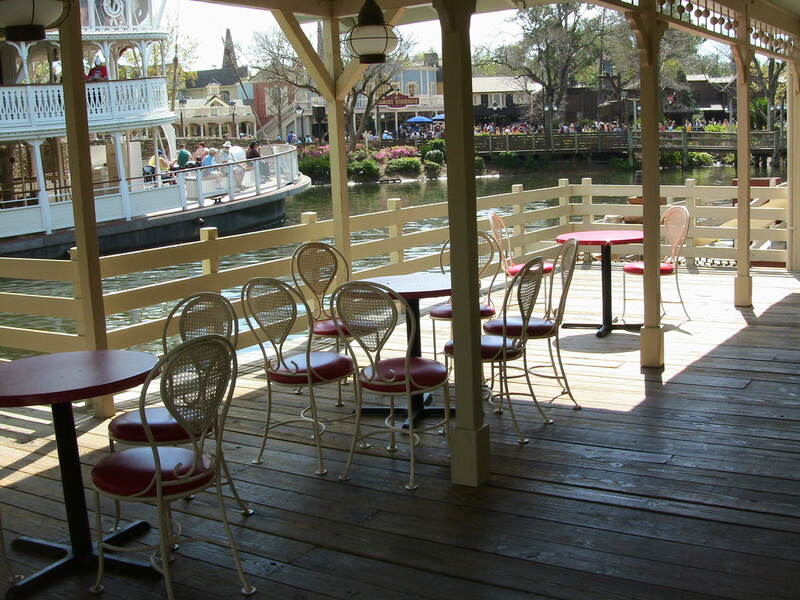 However there are many tables and chairs on the porch, and a very nice view of Frontierland. If you bring your own food it’s a great spot to chow down as the entire area is roofed and covered from the sun. Again, although the Magic Kingdom was teeming with people, there was only one family on the porch when we visited. We asked a Cast Member if Aunt Polly’s would reopen one day as a restaurant and much to our surprise he said that was a distinct possibility! We then found Old Scratch’s Mystery Mine, which is another cave like attraction on the island. The entry tunnel to the mine increases in pitch as you go further inside, and you can hear a humming sound which makes you feel just a bit scary as you make your way through. Once you reach the main room you see a waterfall which lands into an indoor river. “Jewels” that resemble a profile of a man can be seen on the wall. As the interior of the mine is slanted, guests have no choice but to lean in the direction of the jeweled profile. Exiting the mine we walked some more and came across an actual picnic area under a copse of trees. There were only two picnic tables available, but it was shady, cool and this looked like an awesome spot for a picnic. Elaine and I said we’d love to go return to that spot sometime and enjoy lunch there. 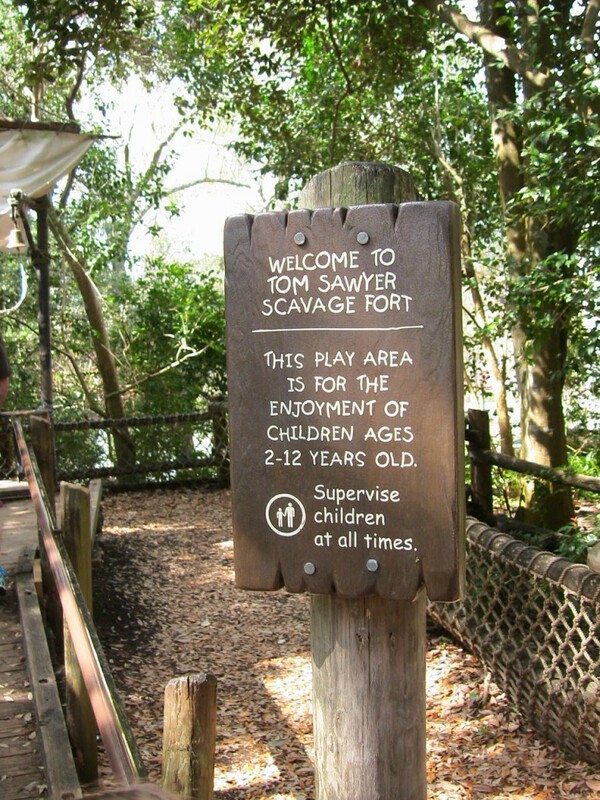 Nearby the picnic area is a playground called “Scavage Fort” for youngsters (ages 2-12), no grown-ups allowed! 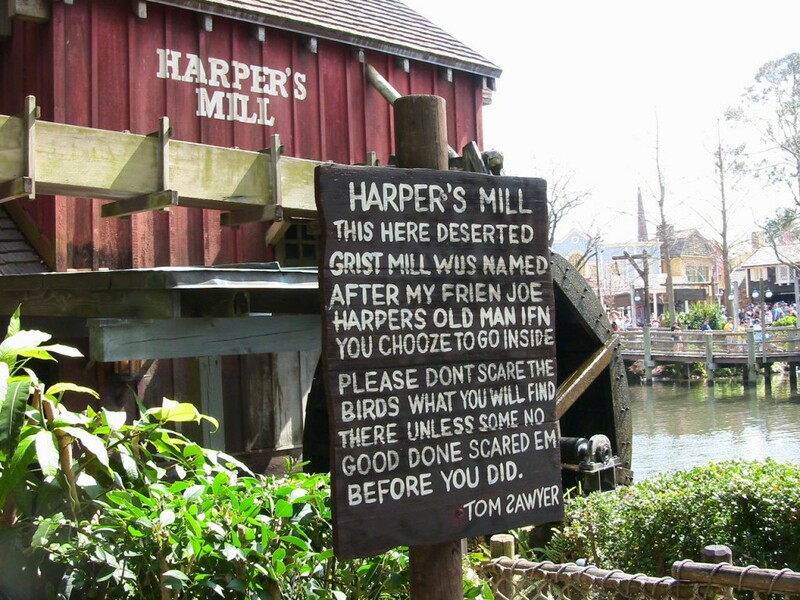 We kept exploring and came across Harper’s Mill, an old time mill with a huge water wheel attached to it. If you go inside you can see a scene from the old Disney Animated Classic “The Old Mill”, complete with – if you look closely enough – the bluebird from the short cartoon nestled in between the gears. For those who recall the cartoon, it’s especially cool to see the bird. The gears of the water wheel make a creaking sound and the creaks play the song Down By the Old Mill Stream. But wait, there’s more! We found another bridge, this one made of ropes and slats. Crossing the bridge we found ourselves at Fort Langhorn. 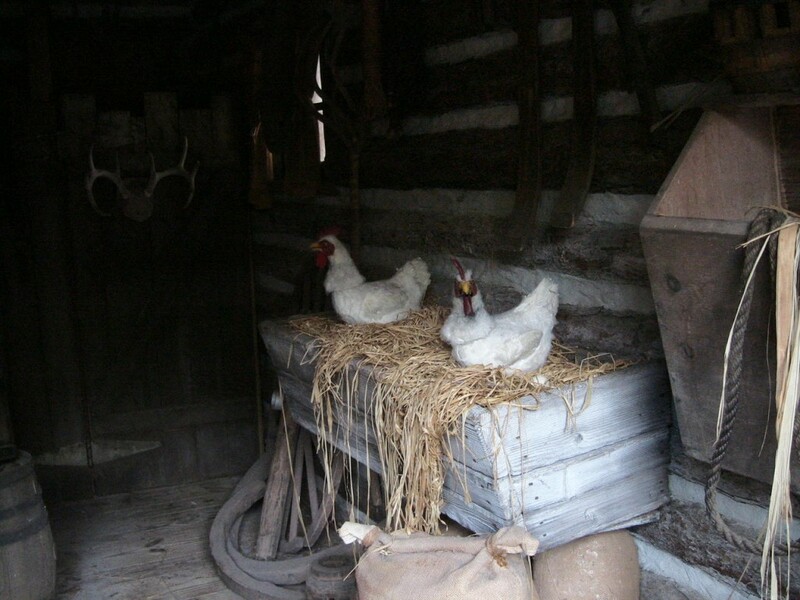 Looking into a barn area you can see “chickens” (they are audio-animatronic). 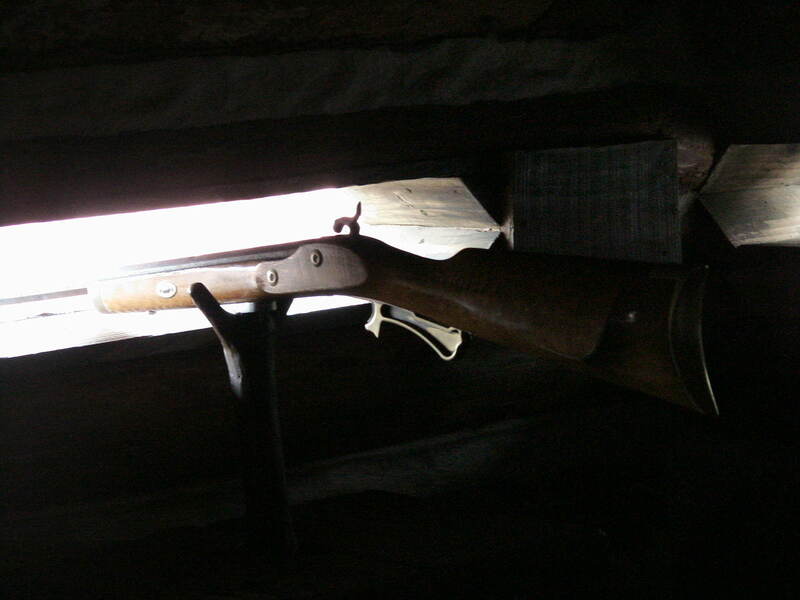 If you climb up the stairs you will find many cut outs in the fort, most all of which have rifles pointed out of them. These rifles make a realistic sound as you “fire” them. When you go back downstairs you can find an audio-animatronic blacksmith as well as two small restrooms. 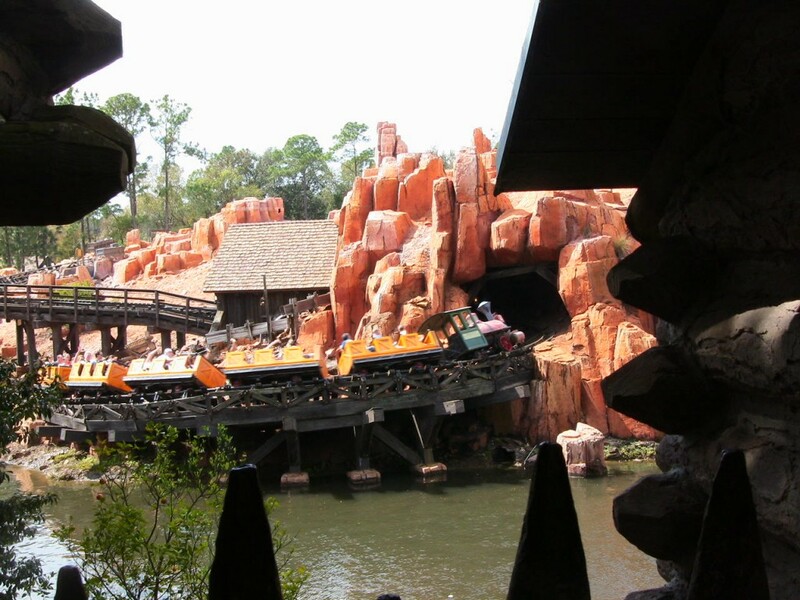 As we waited for our raft to return to the mainland we noticed great photo ops of Big Thunder Mountain Railroad across the way. The wait was short for the return trip, just as it had been for the trip to the island. 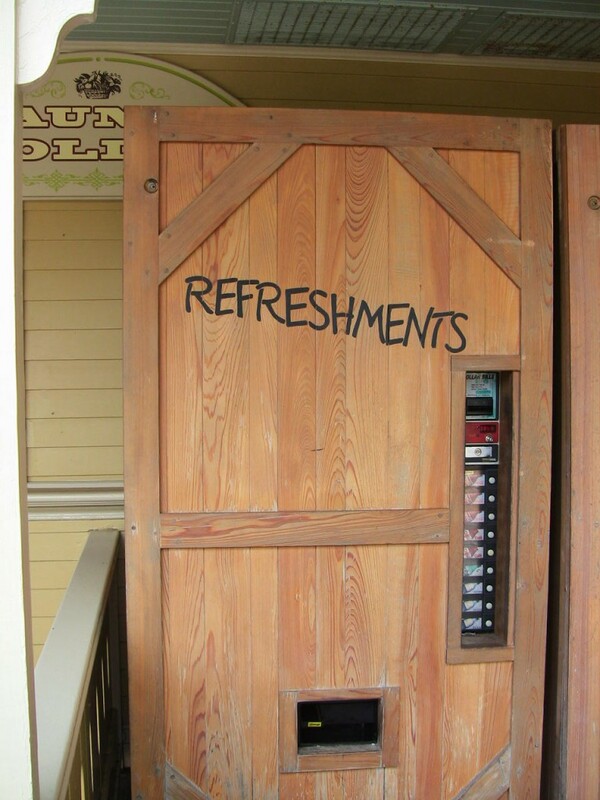 Once you board you are back in Frontierland in less than five minutes. 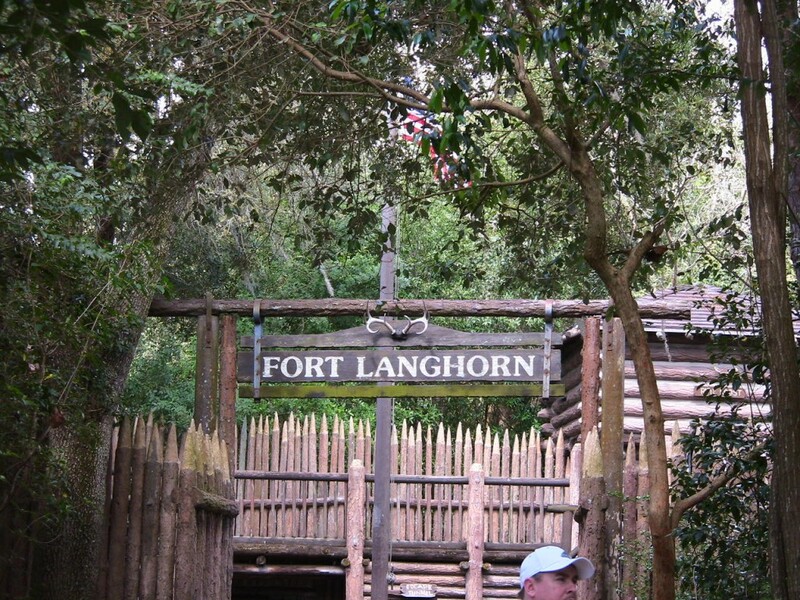 On Tom Sawyer Island you are free to roam around and make discoveries. If you bring along kids they can run, jump, and play at their own pace. One’s imagination is free to run wild. Walt Disney World is a place that triggers your imagination, but for the most part the experiences in the parks are structured and, with few exceptions, leave little room for individual creativity. 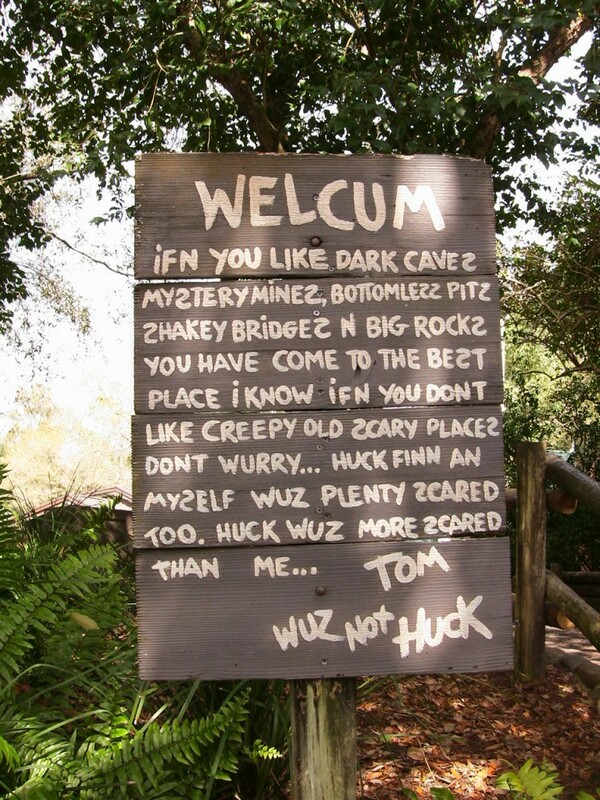 On Tom Sawyer Island you are encouraged to make your own adventure. This attraction remains almost exactly as it was when it opened in 1973. It’s a refreshing change from the hustle and bustle of the parks. I think it’s really worth a visit. 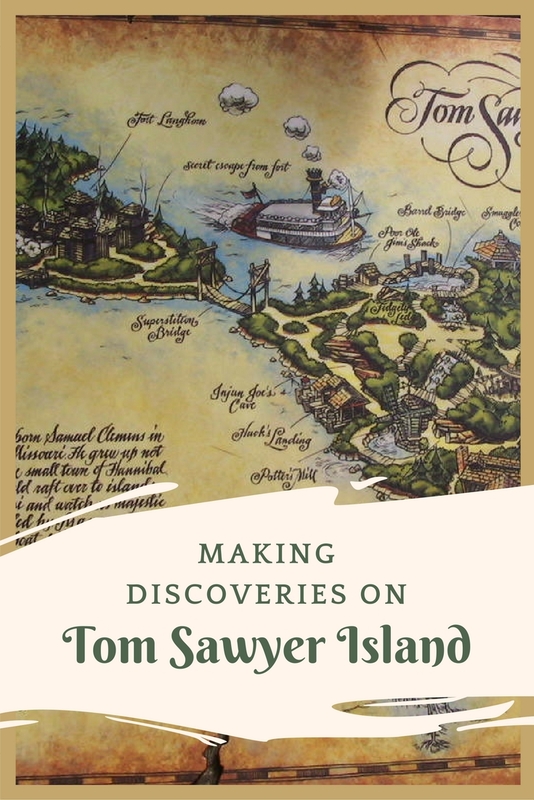 50 thoughts on "Making Discoveries on Tom Sawyer Island at Magic Kingdom"
We go every year and skip this. Not this year!!! I love the quiet and hidden passageways around the island. I have a great photo of my kids playing checkers. Wonderful way to take a break from the crowds and lines. Our boys always enjoyed it. Our grandson did too, but we sat on the porch and took a quick nap while dad showed him around. I read my son Tom Sawyer, he loves it, I recommend checking some of the stories out from your local library. We never miss it. It’s a great break from the hustle and bustle, and the kids absolutely love it! 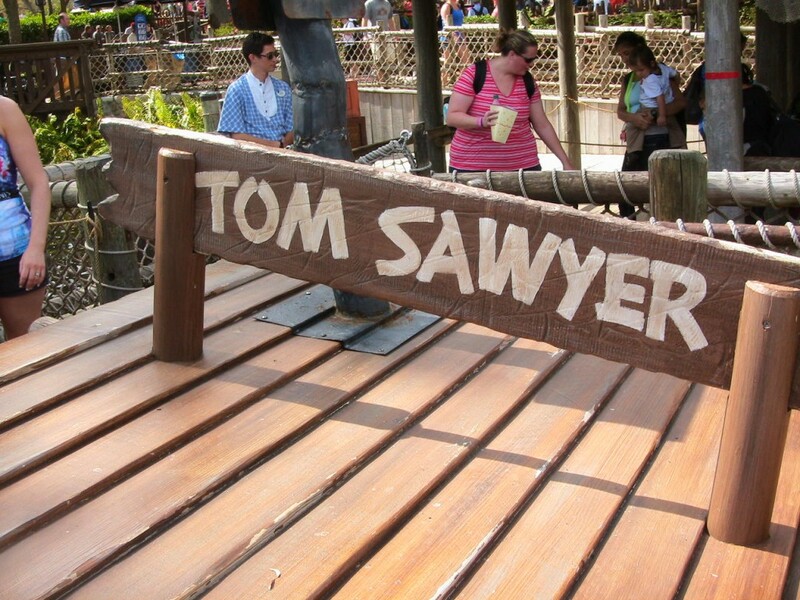 Kids now have no clue who Tom Sawyer was…Disney needs to remake this movie! We are passholders but have only made time for it a couple times. I can’t imagine fitting it in if you are only there a week. But, the last time we went over we had a nice lunch and watched the parade from over there so I think it will be a more frequent stop for us when we need a bit of a break. It’s a great place to get away from the crowds. When our children were small, we would have a picnic lunch over there. It was refreshing to sit someone quiet and not busy. My kids liked looking for the paint brush they used to hide and would give away a ticket for either BTMR or Splash Mountain. They found it one time. I don’t think they do that anymore or didn’t the last time we went which was 2013. We don’t go if it’s really hot. 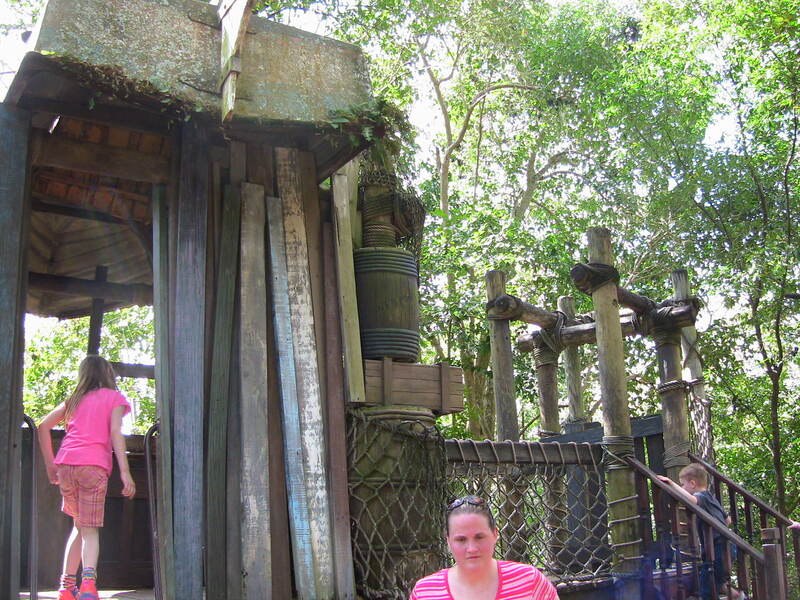 Our family loves Tom Sawyer Island. We visit every time we go to Magic Kingdom. Our kids love the fort and caves. I try to visit every time we are at Magic Kingdom. Even though I usually skip the small spaces and climbs, I just love sitting in a chair and enjoying the scenery. Juli Trumbo Reece I forgot to tell you about this. It’s in Magic Kingdom. I have a beautiful Tom Sawyer picture book you could borrow to read. Love it. Yes, nice and peaceful. My kids love the caves and barrel bridge!! Yes! Unless we’re only at the park in the evening, we definitely go. It’s fun! I feel it is geared more to the under 12 set than adults so I haven’t been in years (no kids that age now). This attraction really encourages the kids to use their imagination and is a great place for them to burn energy. We went but didn’t think much. Won’t bother if go back. That is the one thing I haven’t done in all my visits but is on my list for November. Lynsey Haggard we never forget to go! Usually avoid it during the Summer, otherwise we love going through the caves and tunnel. I think my family went on it once on our first trip there (over ten years ago) but lately I’ve really wanted to go back. Tim Autry this is cool! What a great idea! Bet the boy would love this! My kids love it there. It also is a nice picnic place. I understand why first time visitors do not visit. However, it’s a must do every year for us. Too bad Tom & Huck no longer leave their paintbrushes behind when they finish their work. All the times I took older grandson and never went. Took the younger one a couple of years ago. such a fun place for a kid to experience. He loved it and I got to quit pushing a stroller for awhile. Great place to for some good old running around and exploring! My boys love to “shoot” the Big Thunder Mountain trains from the fort! Don’t tell anybody! 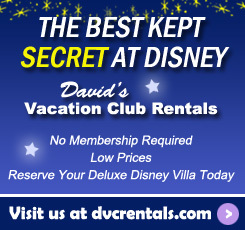 It’s our favorite “secret”!! Went as a kid and then with my younger cousins, but have not been in years. It’s on my “next” list. Thank you for this article! We’ve been to TS island and somehow missed the 2-12 playground! 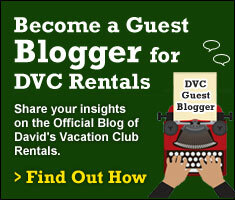 Also, I rented points for AKL from you guys last sept. We had a great time staying there. Would def rent points again.